Whether your interests are in Fine Art, Antique Furniture, Native American Art, Fine Jewelry, Silver, Asian Art, Russian Icons or more specific items, we are ready to assist you in every way to make your purchase with us to be an enjoyable, memorable experience. We welcome you attend an auction, held at our location in Houston, Texas. To register for bidding in-person, please come to our location either during the preview day (generally one day before the auction) or before the beginning of the auction. If you are unable to attend an auction, but would like to actively participate, we will contact you via telephone and bid with you on the floor. To register for telephone bidding, please request our telephone bid form. Absentee bids are a great option if you are unable to attend a sale. With an absentee bid you specify a set amount that you are willing to bid up to. To register for absentee bidding, please request our absentee bid form. For our Fine & Decorative Arts Catalogued Auctions, we offer live online bidding, allowing you to follow and bid at the auction through to your computer or your Ipad, your Iphone and participate in the auction from anywhere in the world. 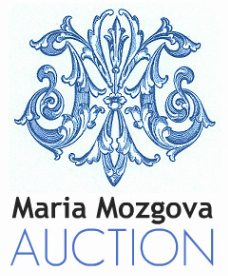 To register for live on-line bidding, please visit our Maria Mozgova Auction Live Auctioneers Page.